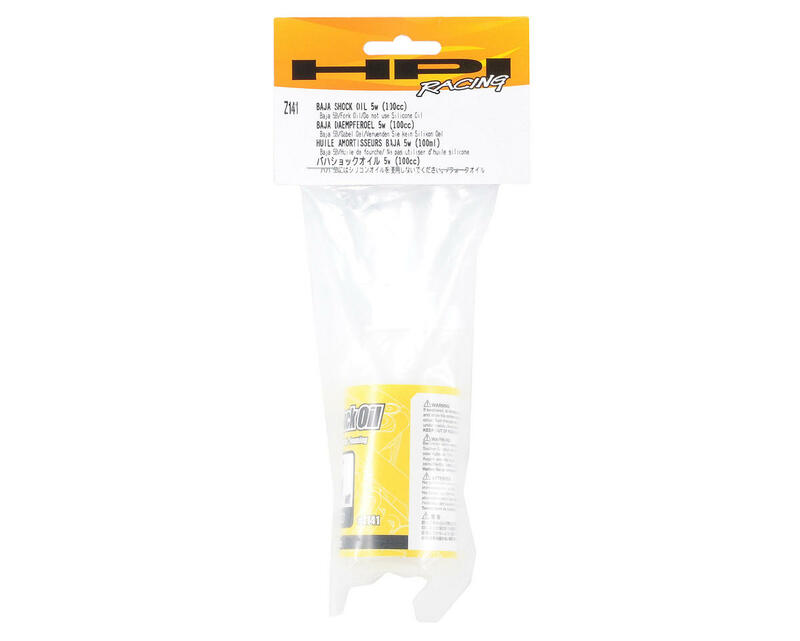 This is a 100cc bottle of Petroleum Shock Oil for the HPI Baja 5B off road buggy. 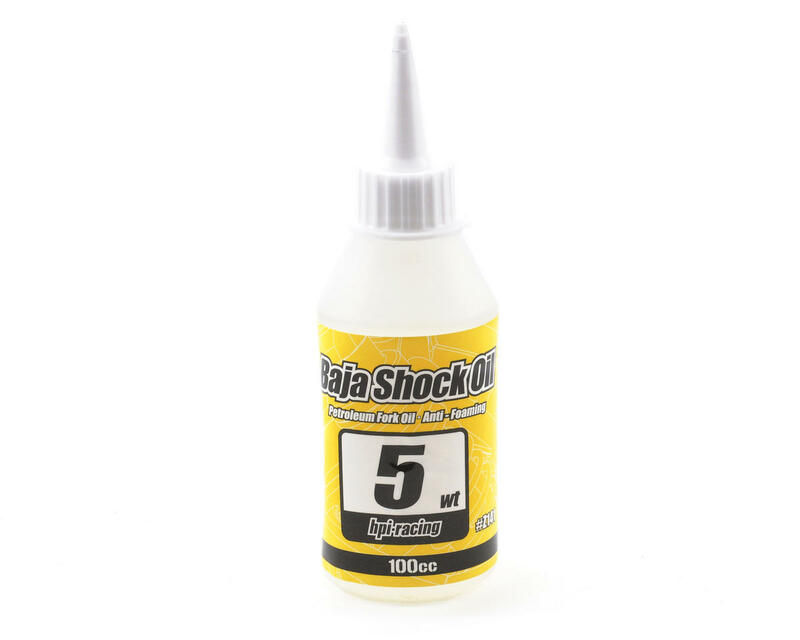 Baja 5B owners can now choose from a wide variety of Baja Shock Oil in 5 weight intervals to optimize the suspension for various track conditions and temperatures. The Baja 5B shocks are specifically designed to use this kind of petroleum fork oil for optimal performance and the widest range of viscosity. They’re packaged in convenient 100cc bottles with fill spouts and a tethered cap. Each weight has a unique color label to help make it easy to identify in your pit box. Please use the pull down menu to pick the oil weight. Note: Use only petroleum fork oil in Baja 5B shocks. Silicone oil weights are not equivalent to petroleum shock oil weights.